According to N. Blasquez, Augustine's dualism of substances of the body and soul doesn't stop him from seeing the unity of body and soul as a substance itself. Following Aristotle and other ancient philosophers, he defined man as a rational mortal animal – animal rationale mortale. During the 19th century, an important contribution came from post-kantian German idealists like Fichte, Schelling and Hegel, as well from Søren Kierkegaard. Since its development in the 1920s, in the milieu of Germany Weimar culture, philosophical anthropology has been turned into a philosophical discipline, competing with the other traditional sub-disciplines of epistemology, ethics, metaphysics, aesthetics. It is the attempt to unify disparate ways of understanding behaviour of humans as both creatures of their social environments and creators of their own values. Although the majority of philosophers throughout the history of philosophy can be said to have a distinctive "anthropology" that undergirds their thought, philosophical anthropology itself, as a specific discipline in philosophy, arose within the later modern period as an outgrowth from developing methods in philosophy, such as phenomenology and existentialism. 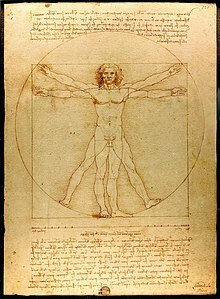 The former, which draws its energy from methodical reflection on human experience (first person perspective) as from the philosopher's own personal experience, naturally aided the emergence of philosophical explorations of human nature and the human condition. Scheler defined the human being not so much as a "rational animal" (as has traditionally been the case since Aristotle) but essentially as a loving being. He breaks down the traditional hylomorphic conception of the human person, and describes the personal being with a tripartite structure of lived body, soul, and spirit. Love and hatred are not psychological emotions, but spiritual, intentional acts of the person, which he categorises as "intentional feelings." Scheler based his philosophical anthropology in a Christian metaphysics of the spirit. Helmuth Plessner would later emancipate philosophical anthropology from Christianity. In the 20th century, other important contributors and influences to philosophical anthropology have been Paul Häberlin (1878–1960), Martin Buber (1878–1965), E.R. Dodds (1893–1979), Hans-Georg Gadamer (1900–2002), Eric Voegelin (1901–85), Hans Jonas (1903–93), Josef Pieper (1904–97), Hans-Eduard Hengstenberg (1904–98), Jean-Paul Sartre (1905–80), Joseph Maréchal (1878–1944), Maurice Merleau-Ponty (1908–61), Paul Ricoeur (1913–2005), René Girard (1923–2015), Alasdair MacIntyre (1929–), Pierre Bourdieu (1930–2002), Hans Blumenberg, Jacques Derrida (1930–2004), Emerich Coreth (1919–2006), Leonardo Polo (1926–2013). A large focus of philosophical anthropology is also interpersonal relationships, as an attempt to unify disparate ways of understanding the behaviour of humans as both creatures of their social environments and creators of their own values. It analyses also the ontology that is in play in human relationships – of which intersubjectivity is a major theme. Intersubjectivity is the study of how two individuals, subjects, whose experiences and interpretations of the world are radically different understand and relate to each other. ^ K. Wojtyla's anthropological works: K. Wojtyla (1993). Love and Responsibility. San Francisco: Ignatius Press. ISBN 0-89870-445-6. ; K. Wojtyla (1979). The Acting Person: A Contribution To Phenomenological Anthropology. Springer. ISBN 90-277-0969-6. ^ Husserl, Edmund. Phenomenology of Internal Time-Consciousness. Tr. James S. Churchill. Bloomington: Indiana UP, 1964, 21. ^ Heidegger, Being and Time Trs. Macquarrie & Robinson. New York: Harpers, 1964. 171. Articulating on how "Being-in-the-world" is described through thinking about seeing: "The remarkable priority of 'seeing' was noticed particularly by Augustine, in connection with his Interpretation of concupiscentia." Heidegger, quoting the Confessions: "Seeing belongs properly to the eyes. But we even use this word 'seeing' for the other senses when we devote them to cognizing... We not only say, 'See how that shines', ... 'but we even say, 'See how that sounds'". ^ Gianni (1965), pp. 148–49. ^ Hendrics (1954), p. 291. ^ a b Massuti, p.98. ^ Augustine, Aurelius de Hippo, De cura pro mortuis gerenda CSEL 41, 627 [13–22]; PL 40, 595: Nullo modo ipsa spernenda sunt corpora. (...) Haec enim non-ad ornamentum vel adiutorium, quod adhibetur extrinsecus, sed ad ipsam naturam hominis pertinent; Contra Faustum, 22.27; PL 44,418. ^ Augustine, Aurelius de Hippo, Enarrationes in psalmos, 143, 6; CCL 40, 2077  – 2078 ); De utilitate ieiunii, 4, 4–5; CCL 46, 234–35. ^ Augustine, Aurelius de Hippo, De quantitate animae 13.12: Substantia quaedam rationis particeps, regendo corpori accomodata. ^ Thomas Sturm, Kant und die Wissenschaften vom Menschen (Paderborn: Mentis, 2009). ^ a b Buber, Martin (1943), Das Problem des Menschen [The Problem of Man] (in German) . ^ a b Schilpp, ed. (1967), The philosophy of Martin Buber, p. 73, It was a neo-Kantian philosopher, Ernst Cassirer, who perhaps more than anyone else contributed to the definition and development of philosophical anthropology in recent decades. Particularly relevant here is Cassirer's conception of man as a symbolizing and mythologizing animal. ^ Tymieniecka, Anna-Teresa (2002), Phenomenology world-wide, p. 487, ISBN 9781402000669 . ^ Köchler, Hans (1982), "The Phenomenology of Karol Wojtyla. On the Problem of the Phenomenological Foundation of Anthropology", Philosophy and Phenomenological Research, 42: 326–34 . Agaësse, Paul SJ (2004). L'anthropologie chrétienne selon saint Augustin : image, liberté, péché et grâce. Paris: Médiasèvres. p. 197. ISBN 2-900388-68-6. Azurmendi, Joxe (1997). Gizakiaren filosofia ilustratutik antropologia filosofikora. Donostia: Jakin. p. 132. ISBN 84-922537-4-6. Gerhard Medicus, Being Human – Bridging the Gap between the Sciences of Body and Mind. Berlin: VWB 2015, ISBN 978-3-86135-584-7.